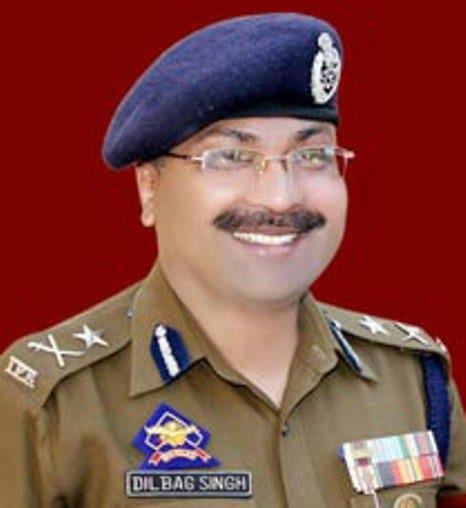 Srinagar, Sep 14: Director General of Police Jammu and Kashmir Dilbagh Singh (IPS) accompained with IGP #Kashmir Zone Swayam Prakash Pani (IPS) today visited District Police Lines Sopore and held a darbar with cops and officers of the Sopore Police. He gave a patient hearing to the cops and assured them that their genuine greivances will be solved soon and stressed upon maintaining of good police public relations. Addressing the Darbar, DGP Jammu and Kashmir Dilbagh Singh IPS told the cops and officers about the importance of community Policing and role of J&K Police in ensuring safety and security of people. He also emphasised on welfare of cops and holding of regular orderly room at various hierarchy levels, in which all genuine issues of cops can be redressed. Appreciated Sopore Police for their work in keeping Sopore at peace. DGP Jammu and Kashmir Dilbagh Singh IPS "My priority is the youth and their future, and with the help of locals we will be able to make them to walk on the right path and channelise their energies towards better future of our country. We are ready to tackle every infiltration bid and L &O issue that will be attempted in near future. Cooperation with Army & CRPF will continue ".